More than one-in-ten applications for a mortgage get denied and a quarter of those for refinancing are rejected. For some groups, the loan denial rate is as high as 40% according to the Bureau of Consumer Financial Protection. But the reasons for denying a loan aren’t the same for all borrowers or even across different lenders. An application on one lending site might very well be approved on another. That makes getting a loan more like a game you can win if you know how to play the system. I’m going to reveal the most common reasons a loan is denied as well as real feedback I’ve gotten from borrowers on lending sites. I’ll then show you how to play the game to make sure your loan is approved every single time. Let’s look at the common reasons for loan denial first and then at some of the specific reasons on each of the online lenders. The biggest reason loan applications get denied is for a low credit score. 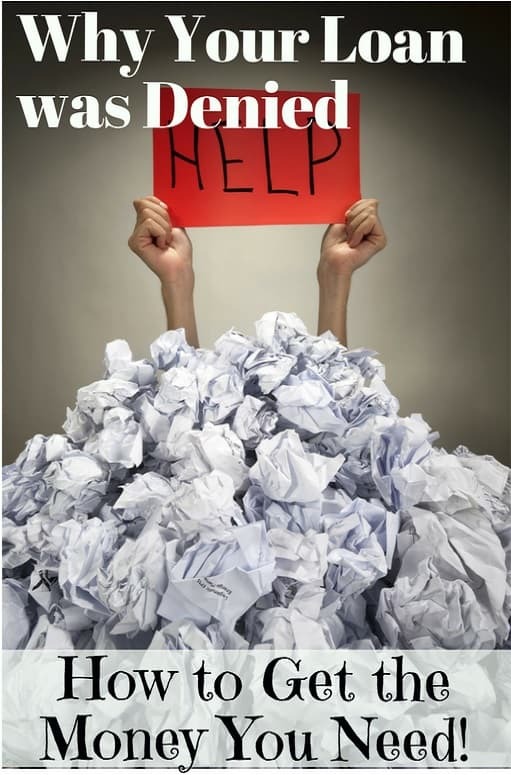 Loan officers are lazy and most banks approve or deny loans based first on your FICO score. That doesn’t mean you can’t get a loan. It just means you need to know where to go depending on your credit score. You need to understand the difference between prime and sub-prime lending. Anyone with a credit score below 660 FICO is said to be a sub-prime borrower. Most banks and credit unions won’t lend to sub-prime because the loans don’t qualify for special federal guarantees and that means the lender can’t sell the loan to an investor. If you have a credit score above this, in the prime lending range, then you can apply to just about any online site or lender. If your FICO is below 660 then you’ll need to apply to one of the lenders that make sub-prime loans. The second most often heard reason why a loan is denied is the borrower’s debt-to-income ratio (DTI). This is the total amount of monthly debt payments you make divided by your monthly income. It’s a measure of how must or your income goes to paying down debt and lenders look to it as a critical piece to credit worthiness. Most lenders like to see a DTI no higher than 30%, that no more than one dollar for every three you make goes to pay off debt. Any more than that and they start getting nervous you won’t be able to pay off new loans. We’ll go into how to get past this later in the article but just like your credit score, part of it comes back to knowing the lenders that will help you out even with a high DTI. Finally among the most common reasons for loan denial is a high credit utilization ratio. That’s the balance you carry on credit cards versus your total spending limit. For example, if you owe $5,000 on cards with a total limit of $10,000 then you have a 50% utilization ratio. Lenders use this to understand how deep in debt you are and how much you have available if things get tight. Someone maxed out on their cards looks like a credit risk while another borrower that still has credit available doesn’t seem so overextended. I’ve used peer-to-peer lending and other loan sites since 2009 and have been investing in loans for years. I’ve also run personal finance blogs since 2014. That means I get a lot of feedback from borrowers about loans and online lenders. I hear every reason why lenders turn down a loan application. I also have email and management contacts with the lenders themselves to get the inside scoop. That’s why I know that getting a loan approved is more of a game than anything. I know that the loan application process isn’t the same for everyone. PersonalLoans.com is one of my most recommended online lenders and I’ve used the site twice myself. The lender will generally approve even bad credit borrowers but that doesn’t mean everyone will get a loan. The most common reason for loan denial on personalloans.com I hear is a high debt-to-income ratio or income that can’t be verified. I don’t think the site has unreasonably high DTI requirements, it’s just that bad credit borrowers tend to have higher DTI and that can be a problem. NetCredit is another online lender I see recommended often and even bad credit borrowers can generally get a loan. 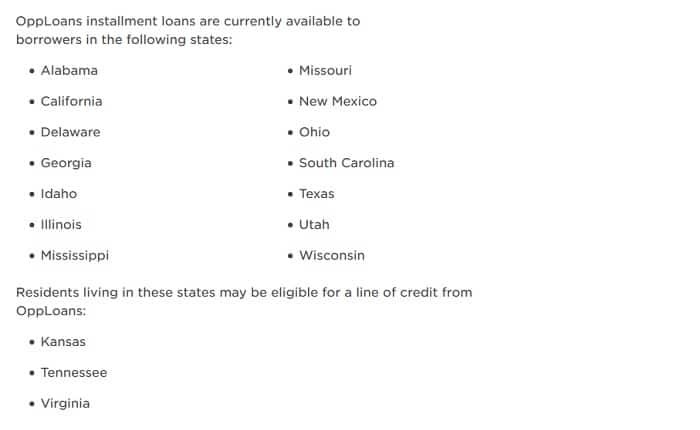 The main reason I hear from borrowers denied a loan on NetCredit is that the loans are only available in 14 states so that rules out a large part of the population. I know that NetCredit is working to get approved in more states but it’s still a big challenge for borrowers. SoFi started as a student loan refinancing company but has since expanded into mortgages, personal loans and auto loans. It offers some of the lowest rates on loans but also has one of the highest credit score requirements among online lenders. SoFi doesn’t release the minimum credit score to get a loan but I’ve heard from borrowers that got denied even with a FICO of 680 and higher. Even if you think you’ll get a loan denied on SoFi, and we’ll talk about this in the next section, consider applying anyway because the rates are very good for approved borrowers. Prosper is one of the largest peer-to-peer lending sites in the world and benefits from a huge pool of investors ready to fund loans. That doesn’t mean all loans get funded though and I’ve heard the credit score requirement is high compared to other lenders. The lender uses information from TransUnion for its loan applications so check your credit report from the bureau if you get a loan denied on Prosper. It’s not all about your credit score though. Prosper looks closely at your credit history and anyone with a bankruptcy will likely be denied. OppLoans is another popular choice for bad credit borrowers and short-term loans. Credit score and some of the traditional loan application factors matter less here because loans are smaller and shorter-term. You can only borrow up to $4,000 on OppLoans and terms are limited to three years. Just as with NetCredit, the most common reason I hear for loan application denial on OppLoans is the state in which the borrower lives. OppLoans is only able to loan to borrowers in 14 states and can extend a line of credit to borrowers in three others. Lending Club is the largest peer-to-peer lender in the world and where I do all my investing in loans. The company matches borrowers and lenders for billions of dollars in loans every year. That means it can accept a lot of the borrowers other sites can’t but it still has credit score requirements. 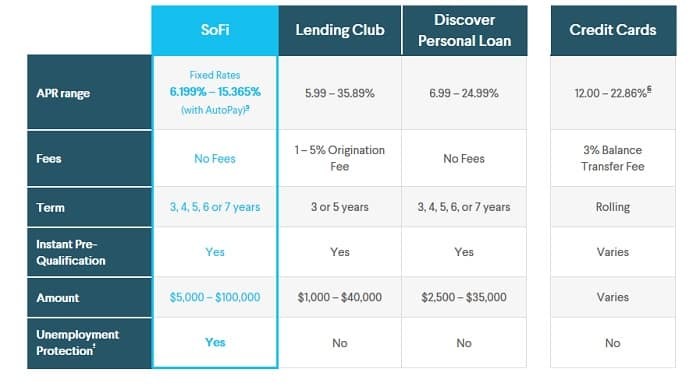 The requirements on Lending Club are similar to those on SoFi and Prosper so you’ll likely need a little higher credit score, above 680 FICO, to get approved. Another common reason for a loan denied on Lending Club is a bankruptcy or current loan in default. Lending Club has recently started funding auto refinancing loans with competitive rates versus other sites. Avant is less well-known among online lenders but still an option if you get denied a loan on other sites. Avant reports that the average borrower has a credit score between 600 to 700 FICO but rates will be higher for bad credit borrowers. If your loan application is denied by Avant, you generally won’t get a reason why but the most common reason I’ve heard from borrowers is employment instability and lack of verification. If you have any bad marks on your credit or have not been at your current job for more than a year, it may be difficult getting a loan. Getting denied for a loan isn’t the end of the world and you’re likely to get approved on at least one of the websites above. The question you should be asking is why you got denied and what you can do to get approved and at the lowest rate possible. First, ask yourself if there were any big reasons you got denied. Do you have a bankruptcy on your credit report or are you currently late on a loan? Is your debt-to-income ratio above 30%? Were you able to verify your employment or income? Is your credit score above or below 660 FICO? By law, you have the right to see your credit report if you get rejected for a loan so make sure the website makes it available to you. If you don’t get it in the mail within a week, call the lender and ask because they have to provide it. Once you see your credit report, you can make a plan for applying for another loan on another site and getting approved. Most borrowers can get approved for a loan on one of the websites above but there are things you can do to get a better deal and lower rates. That’s the important point here, to use this list of reasons for loan denial as a way to fix problems with your credit. It helps if you can give yourself a few months to fix your credit score but that’s not always possible. There are a few things you can do that will quickly boost your credit for better odds of getting approved. Pay down credit card balances to improve your credit utilization ratio. Get a limit increase on your cards, also to increase your utilization ratio, but don’t use it as an excuse to spend more. Pay off as many smaller debts as possible. If you have any small debts about to be paid off, consolidate them with a loan or just make an extra payment. Dispute bad marks on your credit report and get current on payments for loans. One last important note, consider applying on multiple sites at once to find the best rate. The loan sites do a soft pull of your credit so it doesn’t affect your score. If you apply to multiple sites at the same time, lenders will look at the inquiries as a single request instead of scrambling for money. Getting denied on a loan application isn’t the end of the world and it doesn’t mean you can’t get the money you need. Understanding the reasons for loan denial will put you in charge and the tools you can use to get approved.